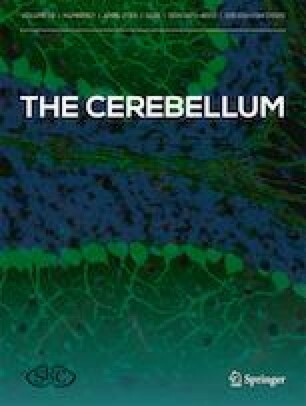 The cerebellum is implicated in the pathophysiology of numerous movement disorders, which makes it an attractive target for noninvasive neurostimulation. Continuous theta burst stimulation (cTBS) can induce long lasting plastic changes in human brain; however, the efficacy of different simulation protocols has not been investigated at the cerebellum. Here, we compare a traditional 50-Hz and a modified 30-Hz cTBS protocols at modulating cerebellar activity in healthy subjects. Seventeen healthy adults participated in two testing sessions where they received either 50-Hz (cTBS50) or 30-Hz (cTBS30) cerebellar cTBS. Cerebellar brain inhibition (CBI), a measure of cerebello-thalamocortical pathway strength, and motor evoked potentials (MEP) were measured in the dominant first dorsal interosseous muscle before and after (up to ~ 40 min) cerebellar cTBS. Both cTBS protocols induced cerebellar depression, indicated by significant reductions in CBI (P < 0.001). No differences were found between protocols (cTBS50 and cTBS30) at any time point (P = 0.983). MEP amplitudes were not significantly different following either cTBS protocol (P = 0.130). The findings show cerebellar excitability to be equally depressed by 50-Hz and 30-Hz cTBS in heathy adults and support future work to explore the efficacy of different cerebellar cTBS protocols in movement disorder patients where cerebellar depression could provide therapeutic benefits. The online version of this article ( https://doi.org/10.1007/s12311-018-0971-0) contains supplementary material, which is available to authorized users. The authors would like to thank Dr. Oury Monchi for use of his laboratory space, and Rachel Sondergaard for assistance with data collection. N.D.J.S, L. G, and Z.H.T.K conceived and designed the research; N.D.J.S, A.D.C, and L. G performed the experiments; N.D.J.S and A.D.C analyzed data and prepared figures; N.D.J.S drafted manuscript; N.D.J.S, A.D.C, L. G, and Z.H.T.K edited and revised manuscript; N.D.J.S, A.D.C, L. G, and Z.H.T.K approved final version of manuscript. This work was supported in part by the Natural Sciences and Engineering Research Council of Canada Grant No. 2017-04126 (ZHTK), Eyes High University of Calgary fellowship, Parkinson Alberta fellowship, and Parkinson’s Foundation fellowship Grant No. PF-FBS-1776 (NDJS), Branch Out Neurological Foundation (ADC), as well as the Hotchkiss Brain Institute N3 Network. The experimental procedures were approved by the University of Calgary Research Ethics Board and complied with the Declaration of Helsinki.